“There’s more freedom now; people are writing pieces that don’t follow any rules. 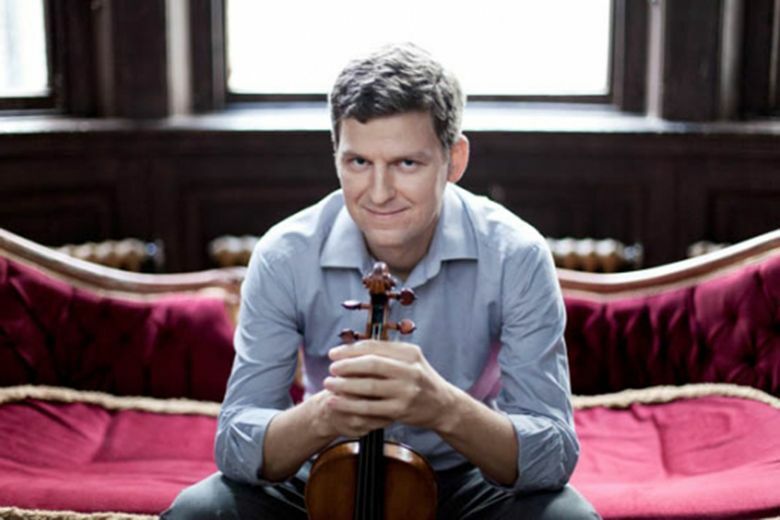 It’s an exciting time,” says violinist and Seattle Chamber Music Society artistic director James Ehnes. Seattle Chamber Music Society Winter Festival patrons will hear contemporary music paired with the classics — works by John Adams, Steve Reich, Aaron Jay Kernis, John Corigliano, Jennifer Higdon and Paul Schoenfield — thanks to James Ehnes. It was a chilly December morning, but violinist and artistic director James Ehnes was already putting the finishing touches on next July’s Seattle Chamber Music Society Festival. And of course the details of the society’s two-weekend Winter Festival, coming right up this month, had long been set in place. Juggling a busy solo career and his Ehnes String Quartet, both in the concert hall and the recording studio, would be more than enough for many violinists. Ever since being tapped in 2011 by the late Toby Saks as her successor at the Seattle Chamber Music Society, however, the gifted and affable Ehnes has leapt into the directorial role of balancing programs and guest artists with a tremendous zest for all kinds of repertoire. Jan. 20-22 and 27-29, Nordstrom Recital Hall at Benaroya Hall. Concerts will be preceded by free 30-minute recitals and followed by an artist Q&A. For more details, including two open rehearsals Jan. 21 and 28, and live “Classical Conversation” sessions with KING-FM radio host Dave Beck, visit seattlechambermusic.org or call 206-283-8808. Tickets from $52 (senior rush $30, family concerts $12). “I really think this is a golden age for American composers,” Ehnes declared over coffee near the festival’s headquarters. Just back from performances with British conductor Edward Gardner and the City of Birmingham Symphony Orchestra, he noted the success of American composer John Adams’ choral/symphonic work “Harmonium” on the program’s second half. For much of the 20th century, Ehnes observes, there had been “a disconnect between performers, presenters and audiences” stemming in part from what he calls “the heavy politicization of music. Powerful voices such as (Arnold) Schoenberg and (Pierre) Boulez exerted a great deal of influence,” with the result that old rules of harmony and melody were considered obsolete. There’s a new lyricism in a lot of contemporary music that Ehnes feels is due to the influence of American composers. “Even today, in Europe music does tend to be a little more harmonically strident,” he observes. He appreciates scores that are beautiful and melodic, yet unique in their own way — by composers such as Aaron Jay Kernis, whose violin concerto Ehnes will perform in its U.S. premiere with the Seattle Symphony this coming March; the commission was made possible by longtime Seattle music supporters Patricia Tall-Takacs and Gary Takacs. Ehnes and Kernis have been emailing back and forth on an almost daily basis in the past several months, discussing ideas and questions and various options as Kernis works on the score. Ehnes promises that it’s going to be fascinating, traditional but not at all derivative, lyrical and virtuosic but also including some “experimental techniques” Ehnes must find a way to play. His exhilaration at this prospect is very evident. American music will also be a major focus of the upcoming Winter Festival, performed alongside what Ehnes calls “iconic masterpieces.” For example, one program will pair the landmark Shostakovich Piano Quintet with U.S. composer Steve Reich’s “Different Trains,” a compelling 1988 work that employs recorded speech and train sounds as well as a string quartet. Ehnes is not a fan of lists, but it’s easy to see from his current programming some of the American composers he particularly esteems: in addition to Adams, Reich and Kernis, Winter Festival listeners will hear John Corigliano, Jennifer Higdon and Paul Schoenfield. The Seattle Chamber Music Society has long been a part of the process of discovery of new works, in its decadelong Commissioning Club — in which members fund the creation of new pieces and get to witness the development of the new compositions. Most, though not all, of the commissioned works have been by American composers (Ehnes gets to choose each year’s composer). But it’s not all Americana in the recording studio, either. The newest Onyx recording from the Ehnes Quartet — in which Ehnes joins three festival regulars, is a disc of Schubert (the great “Death and the Maiden” Quartet, No. 14) and Sibelius (“Intimate Voices,” Op. 56). The four players (including violinist Amy Schwartz Moretti, violist Richard O’Neill and cellist Robert deMaine) perform these deeply serious quartets with great verve and sensitivity, and an almost uncanny sense of ensemble.